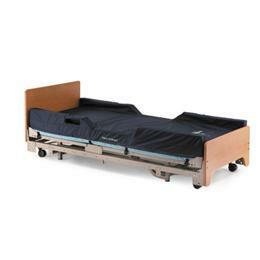 The Egress EZ mattresses are unique designs that give patients added support and independence when getting in or out of bed. The dual-layer and tri-layer foam have an exclusive built-in frame and 3" raised bolsters with cut-through handles that provide a place for patients to get leverage when standing. Egress EZ products include the added relief of a heel soft area. Higher density three layer foam available in the MATTEZLTCA version.